February 7, 2019 By Lori 2 Comments THIS POST MAY CONTAIN AFFILIATE LINKS. PLEASE READ MY DISCLOSURE HERE. 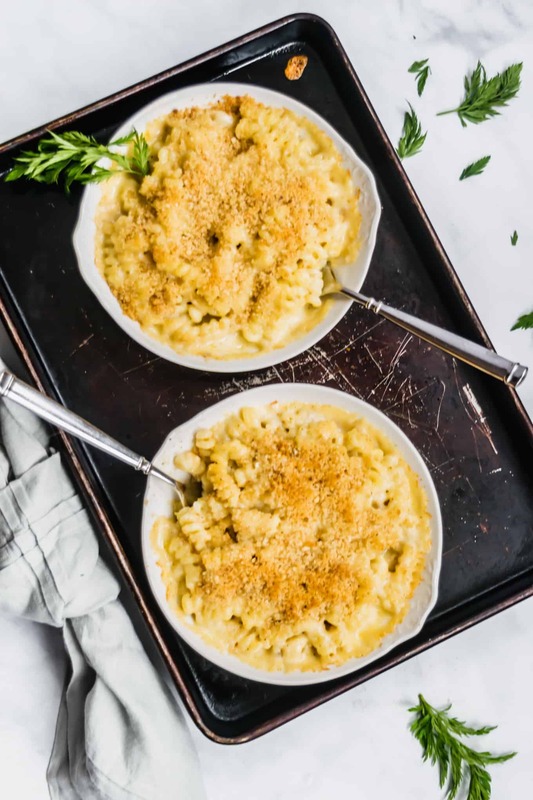 Stop the search for the best mac n’ cheese because here it is. 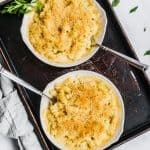 Rich, creamy, cheesy but not too cheesy, this mac n’ cheese works for as a meatless Monday or as a happy partner to a great steak or holiday ham. Adapted from Epicurious. I don’t mean to be morbid – I really don’t. But you know how you talk about what your “last meal” might be if you knew you were going to have a last meal? This mac n’ cheese would be mine. We are talking the whole pan to myself with nothing but a fork and a big bottle of Tuscan Chianti. Yes, Chianti because I’m Italian and because it is MY last meal, I get to pick. And maybe this salad with extra blue cheese. I have been on hot pursuit of the best macaroni and cheese recipe for forever. As in FOR-E-VERRR (must be said like they do in “The Sandlot” btw – if you don’t get the reference, here you go). Ok – to the recipe. I find that a springy noodle like a rotini or the fancy fusilli corti bucati pictured here works best because you need hidden channels for the sauce to cling. And cling it does in the best way. The key to the dish is the béchamel and the cheese combo. Don’t be scared by the word “béchamel” – it’s just fancy talk for white sauce. Béchamel is the base for the sauce —you can learn more about it here. This béchamel does have a combo of heavy cream and milk which I have lightened a bit by using a heavier amount of 1% milk. The heavy cream brings a silky texture that can’t be replaced easily; however I have at times used all whole milk, 2%, and even a pea protein non-dairy milk with great success. It’s really up to you. 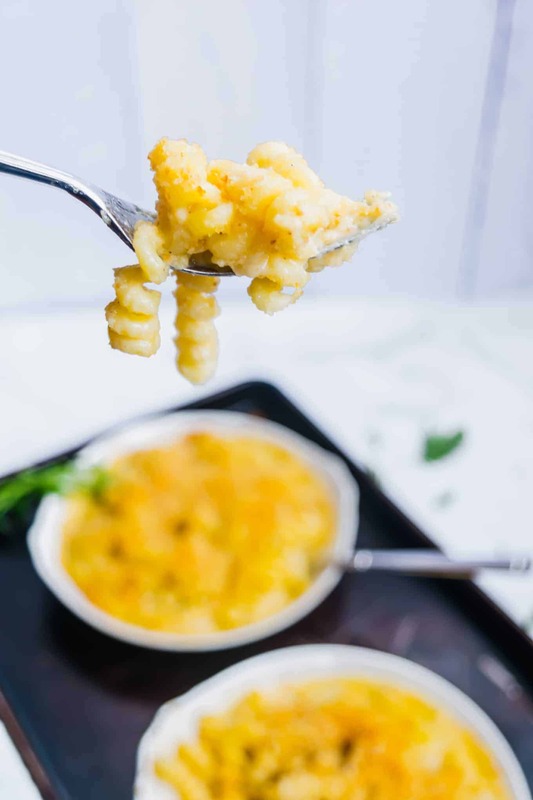 However, this is mac n’ cheese we are dealing with and more is always – well, MORE. More texture, more flavor, more better. And just a note: the sauce is meant to be on the thinner side for this recipe and will thicken up as it cooks with the cheese combo. 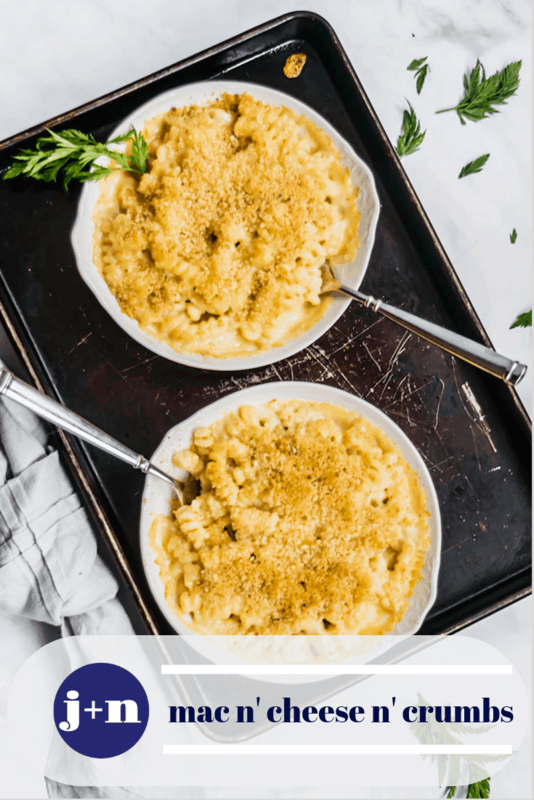 Speaking of cheeses – I have found what I consider the optimal blend but then again, you might like yours to be a more traditional orange mac n’cheese in which case you’d use a lot more sharp cheddar. 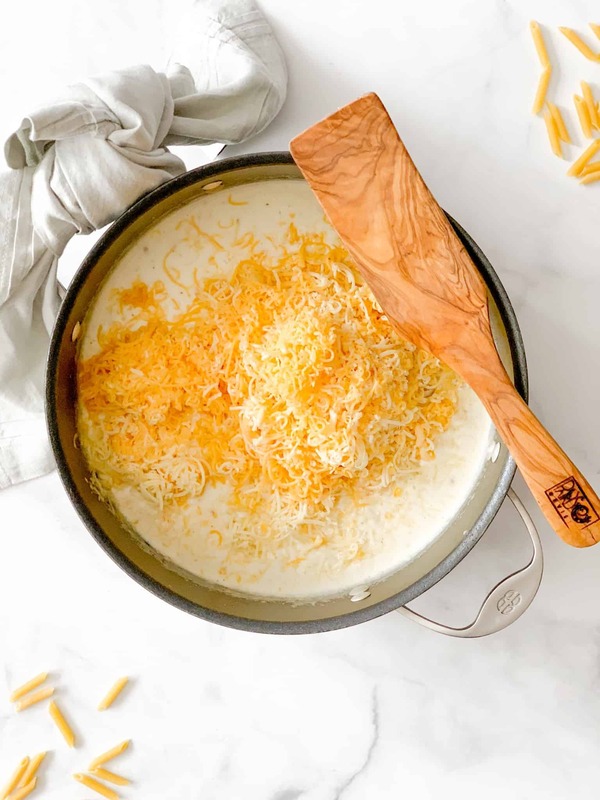 You might lose some of the creaminess so if you’re going to substitute for both the cream and the cheeses your resulting dish might not be as creamy. I use a combo of three cheeses, four if you count the Parmesan, including a sharp yellow cheddar, a sharp white chedddar and a zippy Balsamic cheese. This last one is sometimes hard to find but SO worth the effort! Just try and not sample as you grate it, I dare you. If you are halfway to the store, don’t forget the mustard powder and the worcestershire. They really add a subtle zip that is necessary but if you have to forego one, make sure it’s NOT the mustard powder. 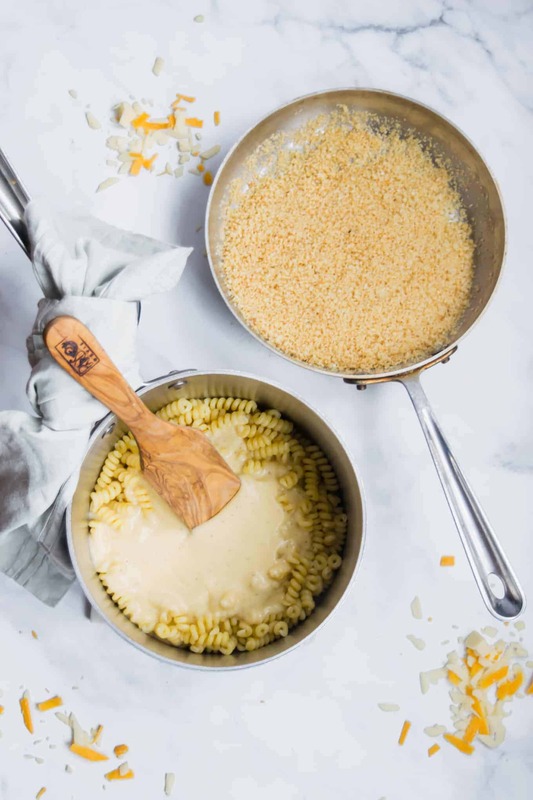 With these ingredients, this mac n’ cheese has more of an ivory hue but since the noodles are blanketed by savory garlic and Parmesan kissed crumbs on top, no one seems to miss the traditional orange. They’re usually too busy racing each other to finish their first serving to get to the pan before it’s gone. can be doubled or tripled easily. to reheat, add a small amount of milk or cream before heating in the microwave or oven and coat with any leftover crumbs. make a half recipe and bake in individual gratins on a baking sheet as shown. make 1/4 of the crumb recipe. The last word on mac n' cheese. Adapted from Epicurious. Butter a 9x13 baking or casserole dish and set aside. Bring a large pot of water to boil. Heavily salt water and cook pasta according to package directions but reduce the cooking time by about 25%. Drain pasta in a colander and set aside. Melt 2 T of butter in medium skillet on medium and add olive oil. Heat until the foam subsides from the butter. Add the minced garlic and panko or breadcrumbs. Toss gently to coat the crumbs. Continue to stir crumbs in pan to make sure they don't burn and cook until golden brown about 3 minutes. Remove pan from heat. Add Parmesan and salt off heat and stir to incorporate. Set aside. In a large skillet, melt butter over medium heat. As it is melting, add the flour and stir continually to form a thick paste or roux. Cook for 2 minutes or so to cook out the flour taste. 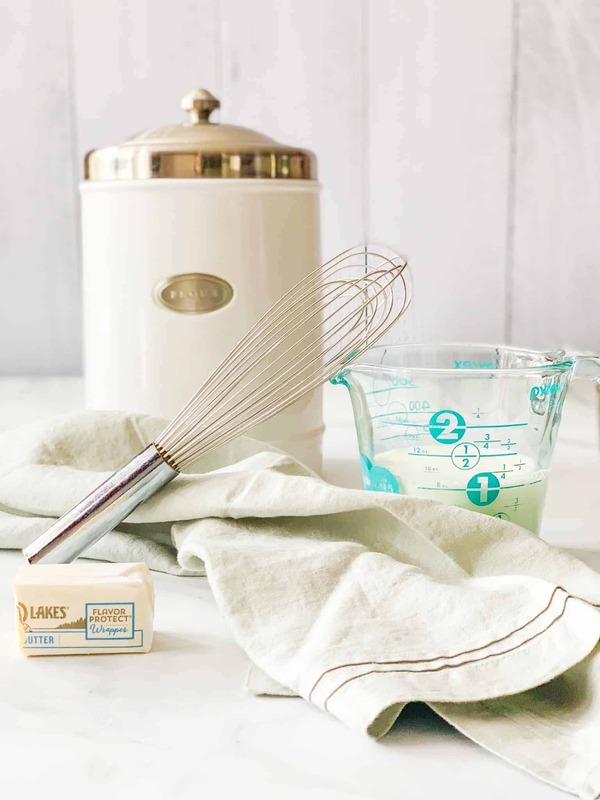 Slowly add milk and cream while whisking slowly to avoid clumping from the roux. Continue stirring and cooking until the sauce reaches a low boil. Reduce the heat and simmer, stirring occasionally so the sauce keeps moving and doesn't burn. Cook for approximately five minutes until the sauce has thickened and coats the back of a spoon. Turn off the heat. Add the cheese in handfuls stirring after each addition, making sure it has melted before adding more. Stir in mustard powder, salt and pepper and worcestershire. Add pasta to sauce pan and stir to evenly coat the pasta with the sauce. It's ok if the sauce is on the thinner side. It should be the consistency of a smooth gravy. It'll thicken while it bakes. Pour the pasta into a 9 x 13 pan. Top with crumb mixture. Resist the urge to overdo it. Place the pan on a baking sheet. Bake for approximately 20-25 minutes until bubbly. Remove immediately and serve. I also drizzle the top w/2 T melted butter and cover lightly with foil about 10 minutes or so into the baking. If made earlier in the day, bake a little longer until bubbling in the center. if making in gratins or smaller portions, cover after five minutes and start checking it at 15 minutes. First, I love the name of this recipe! It makes me want to make it that much more! 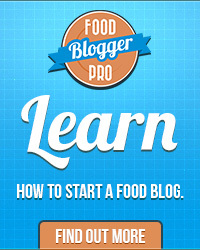 This looks delicious, and I love all the tips you incorporate throughout the story. Can’t wait to try this!